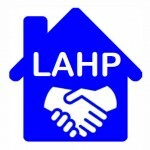 Homebuyer Assistance Program – Los Alamos Housing Partnership Inc.
LAHP will begin accepting application for the Homebuyer Assistance Program (HAP) on November 15, 2017. This is a program that provides deferred payment, non-amortizing loans for down payment and selected closing costs. Call Steve Brugger at LAHP (662-8918) for application material and program details, and for further explanation of the program. Also, you can download the application and checklist below.